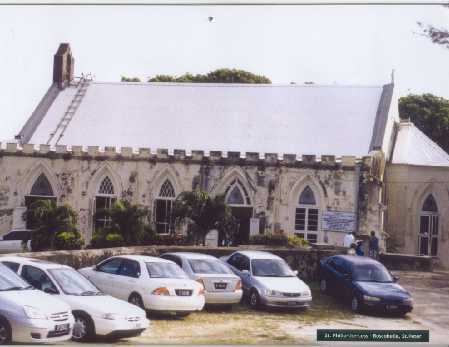 St Philip-the-Less Church lies in the serene district in the northern part of the Island. It was built by Philip Lovell Philips in memory of his son Philip Lovell Collyer Phillips, a Lieutenant in the Rifle Brigade who died at the age of twenty-one. It was consecrated by Bishop Thomas Parry on March 23, 1860. The southern wing was added and consecrated on March 30, 1915. The Church was rededicated by Bishop Rufus Brome on March 23, 1996 after major renovations to the building were carried out.